It's not hard to see that history plays a huge role in Sirocco - our culture is built around the twentieth century! We're one of the few places you'll find where the twentieth and twenty-first centuries are combined to create a very unique culture. In recognition of this, the Sirocco Times has begun work on a very Siroccan project - re-creating national and world history since the late 1850s through micronational eyes. Events such as the sinking of the Titanic, World War II, and the European migrant crisis are presented as though they happened in the world's micronations. 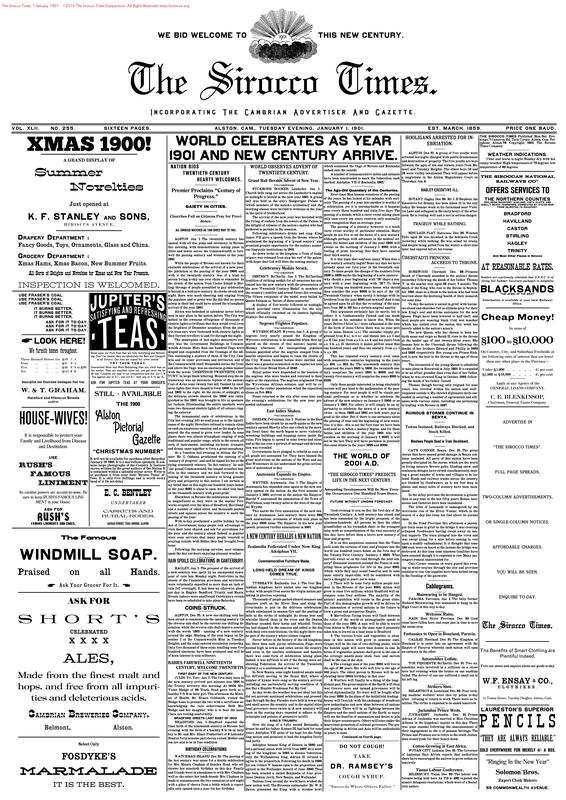 Tuesday, January 1, 1901: Start of the 20th century. 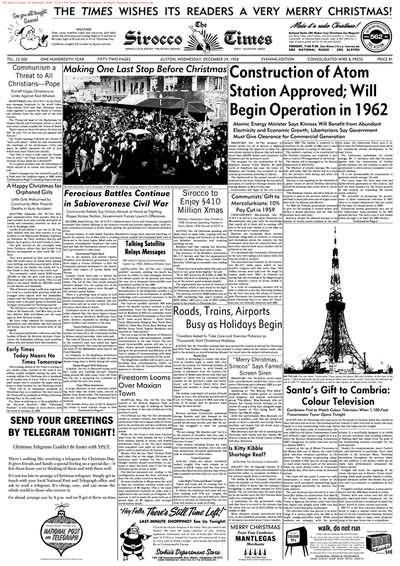 Wednesday, December 24, 1958: Christmas Eve edition. 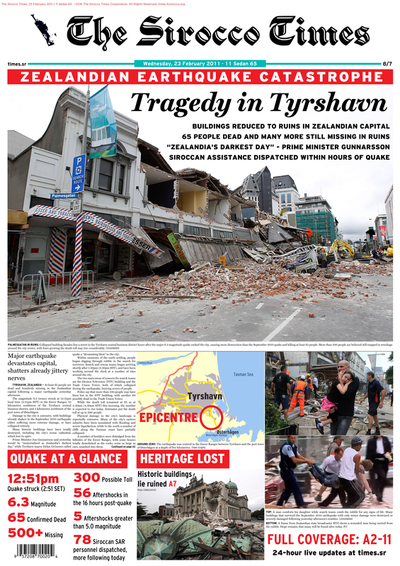 Wednesday, 23 February 2011: Earthquake strikes Tyrshavn. Stay tuned to see the papers as they're printed! Follow the Sirocco page on Facebook, or follow the album on Imgur. 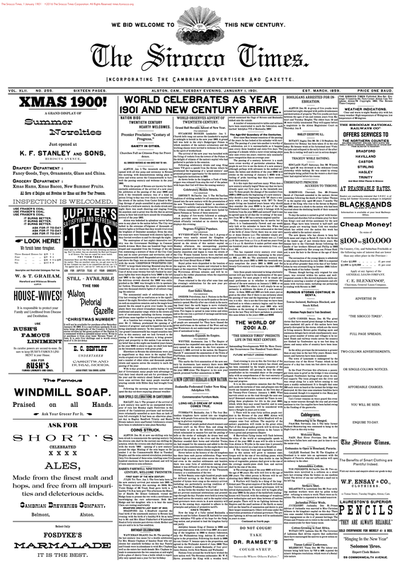 Sirocco's most trusted news since 1859.